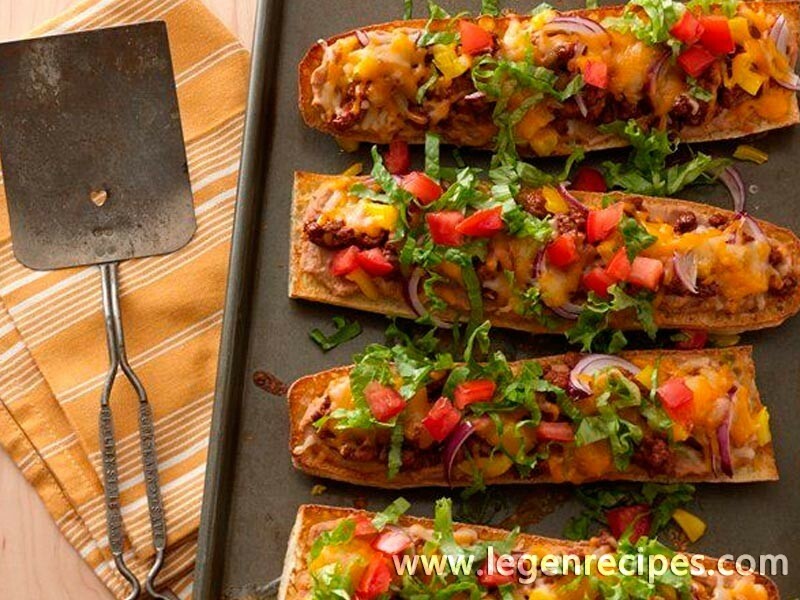 Take your favorite taco ingredients, and layer them up on French bread. So easy and tasty, too! Heat oven to 425°F. Line large cookie sheet with foil. Cut bread in half lengthwise, then in half crosswise. Place on cookie sheet, cut sides up. 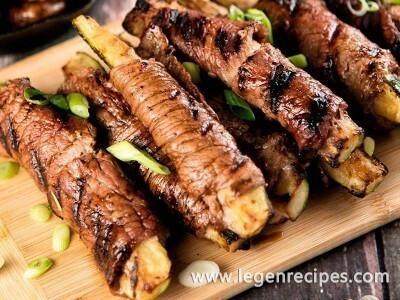 Place in oven to lightly toast, about 5 minutes. 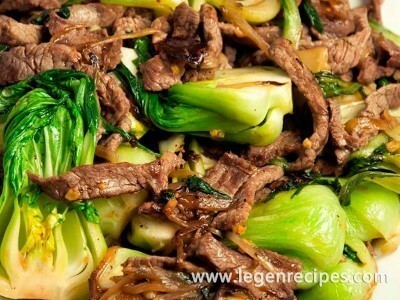 In 6-inch skillet, cook beef over medium-high heat until brown, stirring frequently; drain. Add taco seasoning mix and water; cook until thickened. Spread refried beans over toasted bread. Top with beef mixture, bell pepper, onion and cheese. 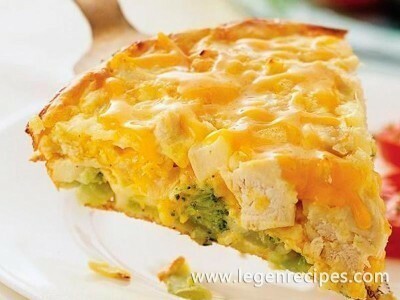 Bake 10 to 12 minutes or until cheese is melted. Top with lettuce and tomato.